The Church and the world have been particularly vexed by this question in recent weeks. The accusations of a former Vatican envoy to the United States, Archbishop Carlo Maria Vigano, against the Holy Father in the light of the scandal surrounding the former Archbishop of Washington, Cardinal Theodore McCarrick, has stirred up a hornets’ nest which shows no signs of going away. And more recently the political circus surrounding the nomination of Judge Brett Kavanaugh to the US Supreme Court, which also involves accusations of sexual abuse, has sharply divided not only political parties but public opinion both in the United States and much further afield. In both instances people desperately want to know the truth. “The question that matters is: What’s the truth? The truth will set us free. It’s so easy to get distracted from that question…What’s the truth? Should we be frightened or limited in that quest. I would say No”. In the same interview he touched upon how he believed Christ Himself was at work in this unfortunate situation. The quest for truth is relevant to everyone. Truth is an essential ingredient in life. Falsehood and deceit have no place. They are corrosive and destructive. But truth has a special significance for those who have made a conversion journey and found their spiritual home within the Catholic Church. Most would see that journey as having been a quest for what is true, motivated by a desire to belong to the True Church as Christ founded it and ordained it to be and an adherence to the True Faith as handed down by Christ to His Apostles and through them to each succeeding generation. In his interview Bishop Barron speaks about faith as a friendship with God but it is a friendship which, of necessity, must be based upon truth. Our faith relationship reveals to us the truth - the truth about God and the truth about ourselves. Real faith can only be built upon absolute transparency. No secrets, no lies. Only a mutual openness which is rooted in love. As a former Anglican I can well remember the words of what was known as the Collect for Purity. It is a beautiful prayer and one we should use regularly. The truth sometimes hurts but the truth is also liberating. 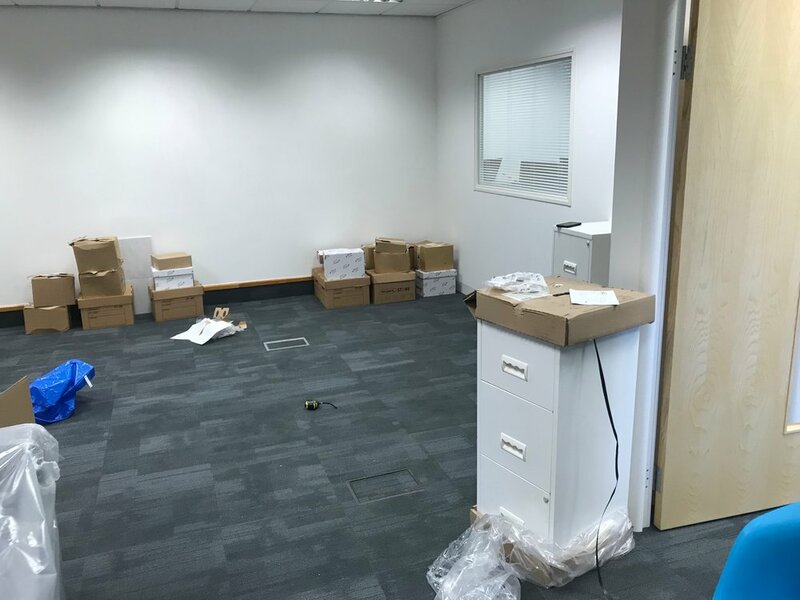 In my last blog I told you about the exciting developments surrounding the move of the St Barnabas Society headquarters from Wolvercote to the outskirts of Littlemore – the scene of Blessed John Henry Newman’s conversion. Over the past few weeks the Argentinian artist, Marcelo Lavallen, has been working on three icons depicting scenes from the life of St Barnabas. They now grace the base of the new altar in our chapel. As expected the icons are very beautiful. I had seen previous examples of Marcelo’s work which is why I invited him to take on this project for us. Some of those who have already seen and admired the icons encouraged Marcelo to provide an explanation of the symbolism he has employed. What follows is a description of the images he has painted. 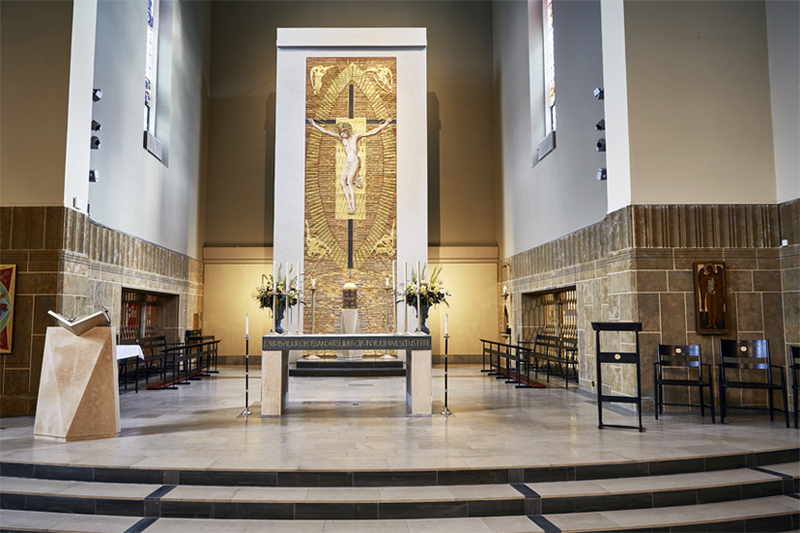 All our supporters are welcome to visit the chapel and see the icons for themselves. We are already grateful to those who have sent gifts to help with its decoration (including one from the U.S.A.) and Mass will be offered for your intentions this week. Thank you for your kindness and generosity. This depicts St Barnabas laying the proceeds from the sale of his land “ante pedes Apostolorum” – “before the feet of the Apostles. (Acts 4:37). “There was a Levite of Cypriot origin called Joseph whom the Apostles surnamed Barnabas (which means Son of Consolation). He owned a piece of land and sold it and brought the money and presented it to the Apostles.” (Acts 4:36-7). To the right of St Barnabas is St Peter who is blessing his gift. To his left is Our Lady with some of the other women. Behind the figures are the walls and city of Jerusalem. The red drape is used in iconography to depict the fact that the scene takes place in doors. This depicts St Barnabas presenting the recently converted St Paul to the Apostles in Jerusalem. “Barnabas…took charge of him, introduced him to the Apostles and explained how the Lord had appeared to him and spoken to him on his journey and how he had preached fearlessly at Damascus in the name of Jesus.” (Acts 9:27). The centre figures are St Paul and St Barnabas surrounded on each side by St Peter and a group of sceptical disciples. “When he (Paul) got to Jerusalem he tried to join the disciples but they were afraid of him: they could not believe that he was really a disciple.” (Acts 9:26). The right panel depicts the martyrdom of St Barnabas in Cyprus. Tradition suggests that certain Jews came to Salamis where they knew Barnabas had been proclaiming the Gospel. Infuriated by his success and the number of conversions they fell upon him as he was disputing in the synagogue in Salamis, dragged him outside, tortured him and finally stoned him to death. His kinsman John Mark and some of the other disciples recovered his body (which was said to have been thrown into the sea) and buried it in the nearby necropolis. The icon depicts St Barnabas holding the Gospel of St Mark with its classic symbol of a winged lion. Barnabas was reputed to carry the Gospel with him and lay it upon the sick who would then recover. It was placed upon his breast when his body was buried. Although it is believed that Barnabas suffered death by stoning the Apocryphal Acts of Barnabas states that a rope was placed around his neck and he was then dragged to a place where he was burned alive. Both traditions are represented in the icon. In AD 478 St Barnabas appeared in a dream to Anthemios, Archbishop of Constantia (Salamis) and revealed to him the place of his burial beneath a carob tree. The following day the tomb was discovered with the Gospel laid upon his body. The water behind the figures indicates the island of Cyprus where the martyrdom took place. 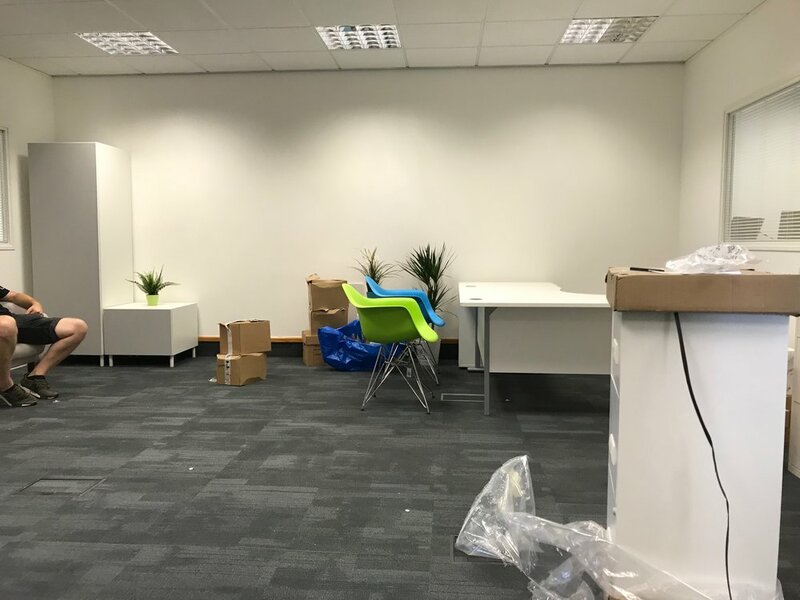 Bishop William Kenney C.P., auxiliary bishop in the Archdiocese of Birmingham with pastoral responsibility for Oxfordshire, has kindly agreed to bless the new chapel and offices at a date which has yet to be determined. He will celebrate Mass for the first time in the new chapel. Marcelo will return at Christmas to paint a crucifix and an icon depicting Blessed John Henry Newman and Blessed Dominic Barberi which will both be placed in the chapel. Archbishop Bernard Longley hopes to visit our new headquarters early next year when he too will celebrate Mass and bless the new images. St Barnabas Society, Windsor House, Heritage Gate, East Point Business Park, Sandy Lane West, Oxford. OX4 6LB. 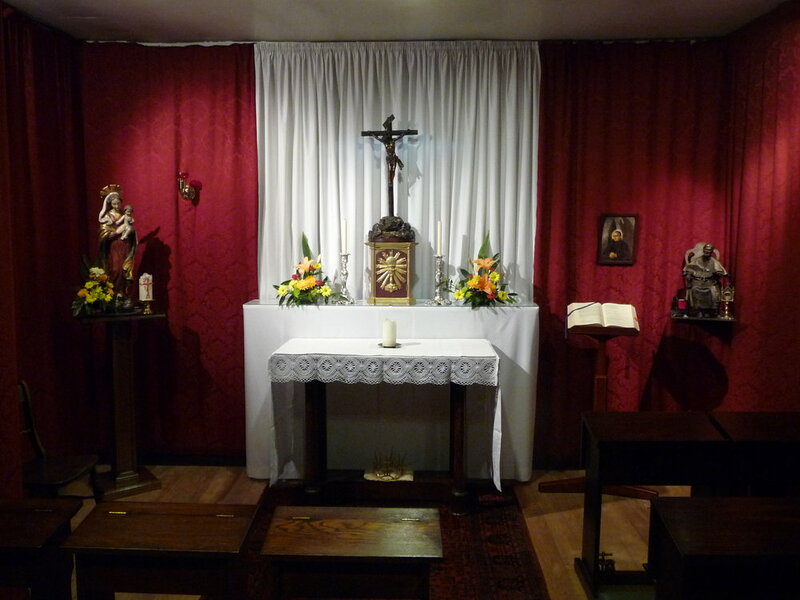 The Archbishop of Birmingham has kindly given permission for us to have a chapel within the office unit. At the heart of all the work we do is the daily celebration of Mass which is the source and summit of the Church’s life and mission. We want to ensure that the new chapel is a worthy place in which the Eucharistic Mystery can be offered and to that end we have engaged the services of a talented and inspirational artist to help beautify it. His name is Marcelo Lavallen. He is originally from Buenos Aires in Argentina but now lives in Boston, USA. Having said that he is a regular visitor to Europe where two of his brothers live. I first met Marcelo in 2013 and saw first hand some of the beautiful work he had done at St Dunstan’s Catholic Church in Keynsham in the Diocese of Clifton. I was so taken with it that I invited him to decorate the Shrine of Our Lady of Caversham in my last parish of Our Lady and St Anne, Caversham, on the north side of Reading. He willingly accepted the challenge and the end result is positively stunning! It is a holy place with a rich history and certainly somewhere you should make a point of visiting. Marcelo is now staying at Wolvercote and he is presently engaged in decorating the altar for the new chapel with three scenes from the life of St Barnabas. In time he hopes to produce a new crucifix in the Byzantine style for the east wall of the chapel and an icon depicting Blessed John Henry Newman kneeling before Blessed Dominic Barberi and asking to be received into the Catholic Church. The site of Newman’s conversion and reception is but a short distance from where we are now located. To decorate and furnish the chapel to a high standard is obviously going to be quite costly. On top of Marcelo’s artwork we have already had to purchase a new altar and altar cloth and we shall require altar furniture, a credence table, cruets and altar linen. 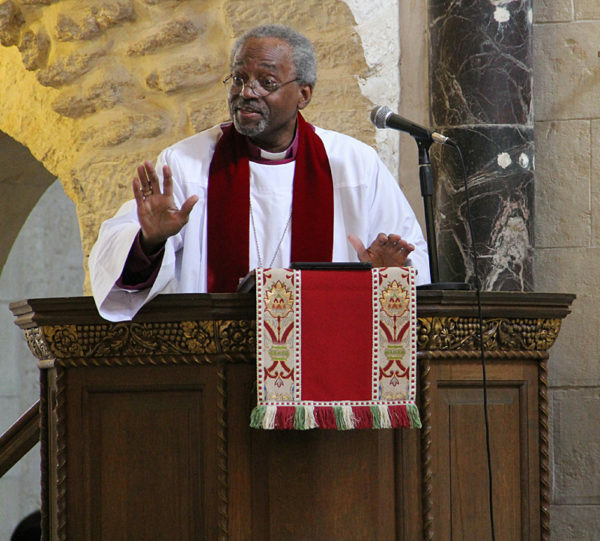 As a consequence we would like to invite those of you who support us and those who may have recently connected with us through this website to consider making a financial contribution toward the new chapel. Each week one of the Masses is offered for our beneficiaries and benefactors so those who give so generously to the Society are always very close to us at the altar along with those we support. We are always happy to receive requests for Masses to be offered and the intentions are posted each week on our website. Please give serious consideration to helping with the decoration project and if you choose to do so you can send your donation to the St Barnabas Society at the above address. Just make sure that you indicate very clearly that it is meant for the new chapel. All donations will be acknowledged. Thank you for your kindness and generosity and for the wonderful way in which you already support us. We are looking forward to an exciting future in which we can seriously expand the scope of our mission. The new chapel will be at the very heart of everything that we are and all that we do as it should be and in time you will be welcome to visit it and to pray with us there. We shall make an announcement when the project has been completed. God bless you all and may St Barnabas, Blessed John Henry Newman and Blessed Dominic Barberi pray for you and for the St Barnabas Society. The departure of Cyprian Blamires and William Johnstone means that the Society is now without area organisers. Their principal role was to travel the length and breadth of the country making appeals on our behalf in parishes. Appeals are not just about raising money. Appeals are about presenting a human face and engaging with parish priests and their parishioners. The importance of appeals cannot be underestimated. They are our principal point of contact with the wider Church. For the time being I have taken responsibility for all the appeals myself and it has been an exciting experience to suddenly find myself on the road each weekend, often making long journeys as the Society’s ambassador. Recently I have visited Blackpool, Skegness, Leeds, Plymouth, Manchester and Leicester. In each place I have been received with great kindness. I am deeply grateful to the priests who have offered me a bed for the night and allowed me to celebrate Mass and preach in their churches. And I am equally grateful to their parishioners who have listened so patiently and responded so generously to my request for their support. Often at the door of the church after Mass someone will come up to me and say “I was really interested to hear what you had to say because I am a convert myself” and I am always fascinated to hear the story of their own conversion journey. I have spoken about our forthcoming move to the edge of Littlemore and asked for their prayers as it happens. 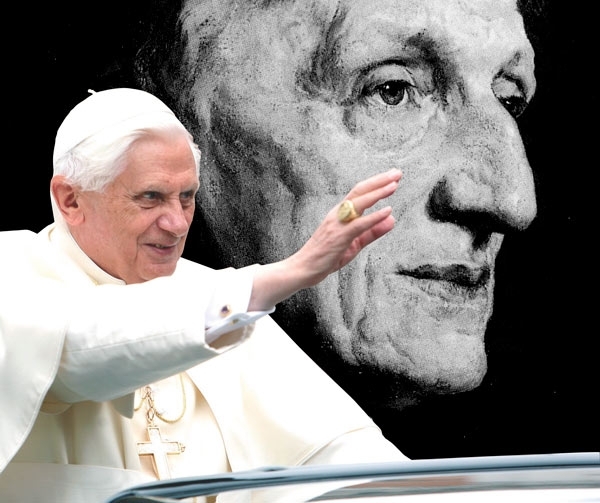 Many of them have immediately recognised the value of the special connection we shall now have with Blessed John Henry Newman, Blessed Dominic Barberi and the most important conversion story of modern times. These visits have helped to recruit many more friends for the St Barnabas Society and as such expand the nationwide network of support for us which already exists. And as I visit these parishes and meet people I am all too aware that I am now building upon the work which has been faithfully done by the Society’s organisers in the past. They are still remembered and fondly spoken of. Not only is that touching but it is hugely important. What they have achieved through their own visits has provided firm foundations for the work that now lies ahead. May those words remind us of the “bond of connection” between the Society and our supporters which is so crucial to our work. As the Society’s Director I am all too aware that “I have my mission” but so do all the other people upon whom the Society depends – employees and friends. Each individual is “a link in a chain.” Thank you - all of you - for what you do for us and please keep up the good work! The July meeting of the Trustees of the St Barnabas Society took place within the beautiful setting of The College at Littlemore, on the south east side of Oxford. It is lovingly cared for by The Sisters of The Society of The Work and serves as the International Centre of Newman Friends. It was the home of Blessed Cardinal John Henry Newman from 1842-1846 and the place where he was received into the full Communion of the Catholic Church by the Passionist priest, Blessed Dominic Barberi, on 9th October 1845. Most of our Trustees had never visited The College before and some knew very little about the story of Newman’s conversion. It was a very moving experience to be able to celebrate Mass in the chapel of The College which had once been Newman’s oratory and is the place where Blessed Dominic received him. We were then able to move on to the place that had once been Newman’s library for the meeting itself. We were surrounded by Newman memorabilia as we discussed the support we give to our beneficiaries and the everyday work of the Society so that too was a very touching experience. It was a very happy and fruitful day and one which we hope will be repeated many times in the future. This meeting had a special significance because the Trustees have decided to move the Society Headquarters from its present location at Wolvercote to the outskirts of Littlemore. It will happen during August and The College will be within walking distance of our new home. More information about the move and our new location will follow shortly but in the meantime we need all our supporters and friends to keep the St Barnabas Society close to their hearts and to make a special point of praying for us each day. The move is a leap of faith but it will give us a wonderful opportunity to connect with Newman’s conversion story in a way that has not been previously possible and hopefully to play a part – albeit a small one – in the movement which is now pressing for his canonisation and that of Blessed Dominic. Newman wrote of Littlemore: “There it has been that I have both been taught my way and received an answer to my prayers.” May the same be true for the St Barnabas Society as we prepare for this new and exciting chapter. Through the intercession of St Barnabas and St Paul, Blessed John Henry Newman and Blessed Dominic Barberi, may the “Kindly Light” to whom Newman turned and who is God Himself lead the Society forward in faith and help us to embrace the many challenges and opportunities that this move will inevitably place in our way. This year’s London Event took place on the Feast of St Barnabas at the Church of Our Lady of Victories, Kensington High Street, thanks to the kindness of the parish priest, Monsignor Jim Curry, and his assistant, Father Daniel Humphreys. The principal celebrant and homilist at the beautiful Solemn Pontifical Mass was the Archbishop of Birmingham, The Most Reverend Bernard Longley, and he was assisted by Monsignor Keith Newton, Ordinary of the Ordinariate of Our Lady of Walsingham, ten concelebrating priests and three deacons. The music for the Mass was provided by the organist at Our Lady of Victories, Timothy Teague, and some of the choir members. They sang the Mozart Missa Brevis in B flat major as well as the Mozart Ave Verum during Holy Communion. The congregation included trustees, beneficiaries and supporters of the Society. A lovely reception followed the Mass in the parish rooms beneath the church when drinks and canapes were enjoyed by everyone. The Society chairman, Roland Hayes, thanked the Archbishop and all those present for supporting the work of the Society. 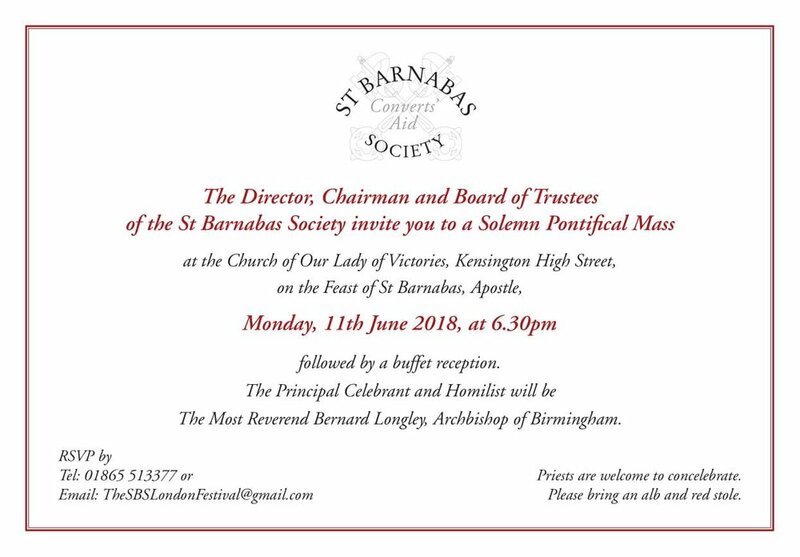 This important annual event which will now be held on or close to the Feast of St Barnabas is essentially a family occasion which brings together those involved at all levels in the mission of the St Barnabas Society as well as those who benefit from it. It would be a very good thing if in the years ahead we were able to attract many more people to it. At present it is the one and only opportunity we have to all come together. Please enjoy this photo gallery which will help to give you a flavour of the evening and most important of all please put the London Event into your diaries for June 11 next year. If it seems that this year’s London Event has come around rather more quickly than usual…it has! This year we are celebrating it on the actual feast day of St Barnabas the Apostle (June 11th) and I hope this will now become an annual tradition whenever it is possible. The London Event reminds us that the St Barnabas Society is a family. There are those of us who work for the Society at its headquarters in Wolvercote. There are those who serve voluntarily as the Society’s trustees. There are those who are members of the Society and faithfully receive our literature and contribute to its work. There are many others who express an interest in our work and who then give generously to support it. And finally there are our beneficiaries – the principal reason why the Society exists – who, having made the courageous decision to embrace the Catholic faith, often at great personal cost to themselves, rely heavily upon the financial support we are able to offer to them, without which their lives would be an even greater uphill struggle than they are already. So it is important that there is at least one opportunity during the Church’s Year when we can gather together as a family to give thanks to God for the work of the St Barnabas Society, to forge new friendships simply by being together for a few hours, and to re-dedicate ourselves to the work that lies ahead. The work that lies ahead will be both challenging and exciting as will become clear in time. So I do encourage all of you to make a special effort this year (if it is at all possible) to join us next Monday (June 11th) at 6.30pm at Our Lady of Victories Church, Kensington High Street, in London, for the Solemn Pontifical Mass at which Archbishop Bernard Longley of Birmingham will preside, and the reception afterwards. We all live busy lives and it can be very difficult to make time for everything that is asked of us but your presence at this Mass is so important to the Society and for its work. If you are able to be there we shall be delighted to welcome you. Please try your very best. “Each (person’s) path to Rome is different. Some paths are straight, others wind and occasionally disappear altogether. Some are lonely, some are crowded. Some are clear, some are brambly. Many are steep. Mine was, but there comes a time when the incline is downwards and the journey gains an almost precipitous momentum. May we all find inspiration in the truth of those words as we prepare for the celebration of this year’s London Event and may we rejoice together that God has chosen to call us into the fold of His One, Holy, Catholic and Apostolic Church. For a long time now I have been an admirer of the writings of Fr Timothy Radcliffe OP, former Master of the Dominican Order. In fact when I was parish priest of Bicester and later Caversham I forbade my parishioners to buy his books because if they did they would quickly discover where I got all my homily material from! When I met Fr Timothy recently at the home of the Chilson family (who are beneficiaries of our Society) and told him about this he playfully threatened to sue for loss of earnings! But I, for one, will continue to buy anything he chooses to publish because he is always well worth reading. His travels around the world have given him so much knowledge of human society and of the Church’s mission in so many different places and situations and his books are full of these experiences. In fact he is about to publish a new book so watch out for it and buy it! As I am no longer a parish priest I am no longer so dependent upon Fr Timothy for material for my homilies! Over a delightful kitchen supper in the Chilsons’ family home I asked Fr Timothy if he had ever written anything on the subject of“conversion” and he didn’t think he had. So, of course, I asked him if he would think about writing something on this subject for the St Barnabas Society and he told me that when the book is published and he has completed the lecture tours of Australia and Germany which lie immediately ahead he would think about it. It would certainly be a great privilege for us if he agrees. While I was parish priest of Caversham I briefly served as Area Dean of Oxford South and during that time our Deanery received a visitation from Archbishop Bernard Longley and Bishop William Kenney. At the opening meeting of the visitation in Henley-on-Thames I was expected to say a few words and initially I wasn’t quite sure what to say. And then I received some heaven-sent inspiration from Fr Timothy’s lovely book Why go to Church? In a chapter entitled “As the Father has sent me, so I send you” he makes reference to a scene in the Bayeux Tapestry “where Bishop Odo can be seen poking a soldier in the backside with a spear, forcing him into the fray. The inscription reads ‘Odo comforteth his men.’” There in a nutshell, I said, is what a Deanery Visitation is all about. The Archbishop and his Auxiliary have come to comfort their men! In another chapter in that same book Fr Timothy has this to say.